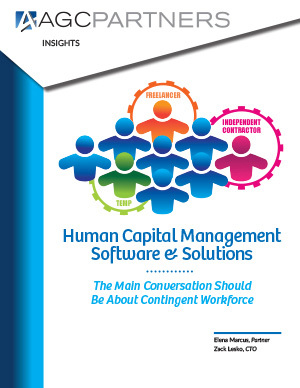 Human capital management (HCM) continues to attract investment interest and executive attention; it is a high-growth sector that is increasingly being shaped by the changing interaction between enterprises and human capital. Startups providing HCM solutions have received large funding rounds in Q3 2014; investments from venture firms total about $176 million, according to Dow Jones VentureSource. This brings the 2014 venture funding through Q3 for human resources and recruiting technology firms to $429 million, which, according to the Wall Street Journal, is a level not seen since the dot-com era.